Gougères (pronounced goo-zhairs) are little more than puffs of Pate a Choux that have been amped up with some spices (my personal favorites: Nutmeg, Paprika and Cayenne) and a lot of Cheese. They are the ultimate (and extremely easy) savory incarnation of Pate a Choux. I hesitate to call them "Cheese Puffs" for fear of creating some mental association with Cheetos. These are not Cheetos... not by a long shot. First off, a delicious Gougère starts with real, delicious Cheese. I'm pretty sure that Cheetos use some pasteurized, processed, Cheese-adjacent powdered additive. Let's call it "Cheeze". More importantly, a perfect Gougère has a crispy exterior with a moist, tender inside. You won't find that in a bag of junk food. 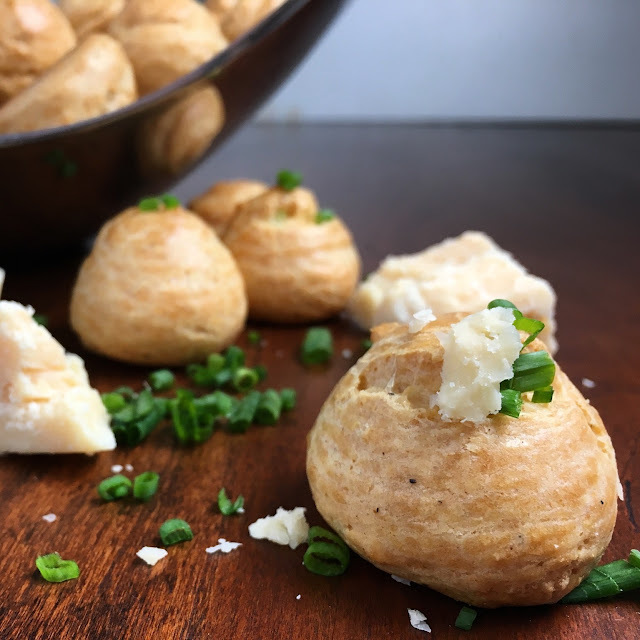 The bite-sized format makes Gougères the perfect hor's doeuvres. It's possible to turn out dozens in a relatively short time, which is a good thing, because I've never seen anyone eat just one (or just two... or three). 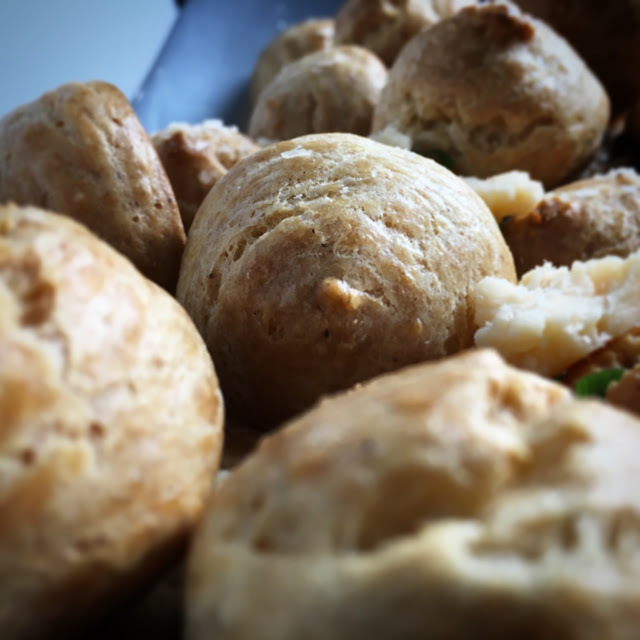 A Gougère is a simple puff of Pate a Choux with some extra spices and Cheese added to the mix. 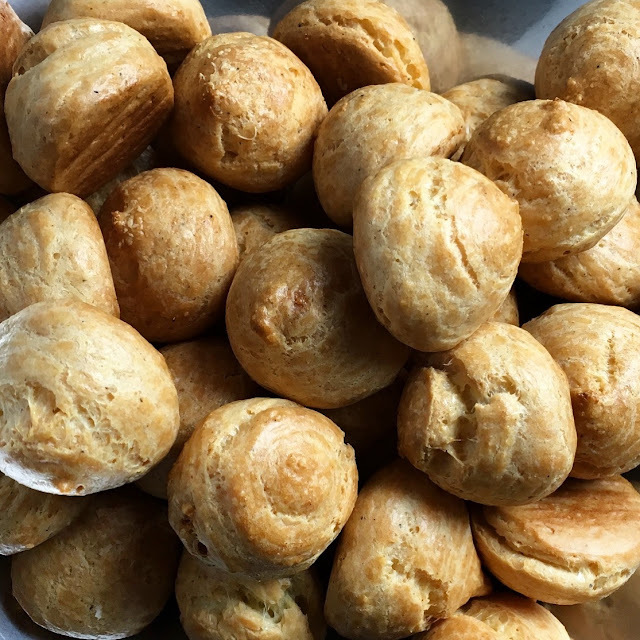 For a healthy-sized batch of about four dozen bite-sized Gougères, you'll need just a 1/2 recipe of Pate a Choux. To flavor the dough for these savory snacks, mix some dried spices with the Flour before adding it to the boiling Water and Butter. 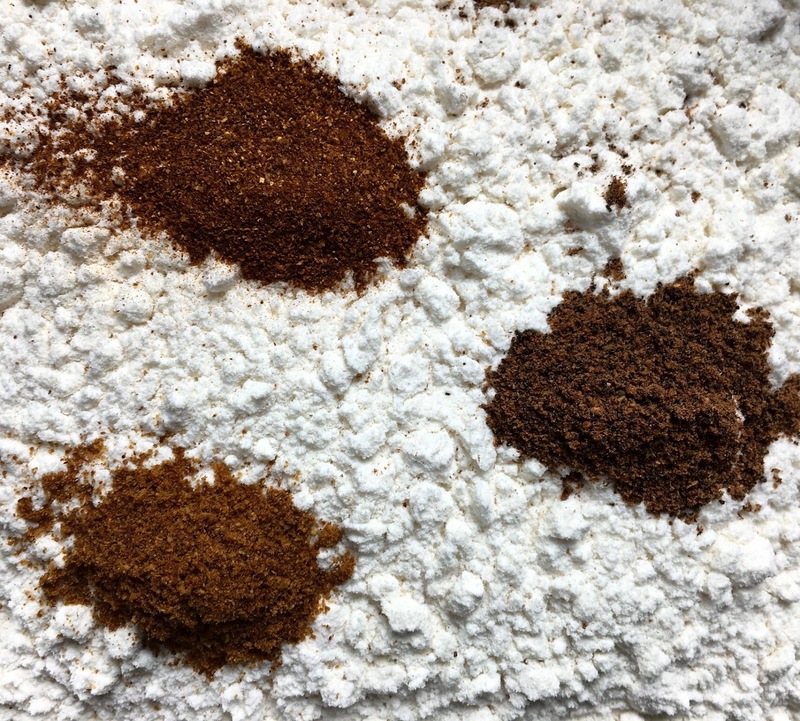 I recommend Nutmeg, Paprika and Cayenne, but you can certainly customize the dough to your personal taste. Stir the spiced-Flour into the boiling Water and Butter as you would for basic Pate a Choux. Continue to follow the recipe for Pate a Choux until you have a dough of the proper consistency. Now it's time for the Cheese... lots and lots of Cheese. Gougères are traditionally made with Gruyère, which is practically the nationally-recognized Cheese of French cuisine. However, you can use any medium to hard Cheese that you wish. Avoid overly soft Cheeses as the higher fat and moisture content may make the dough too heavy and result in flat or overly dense Gougères. Finely grate the Cheese and stir it into the Pate a Choux until it is well incorporated. 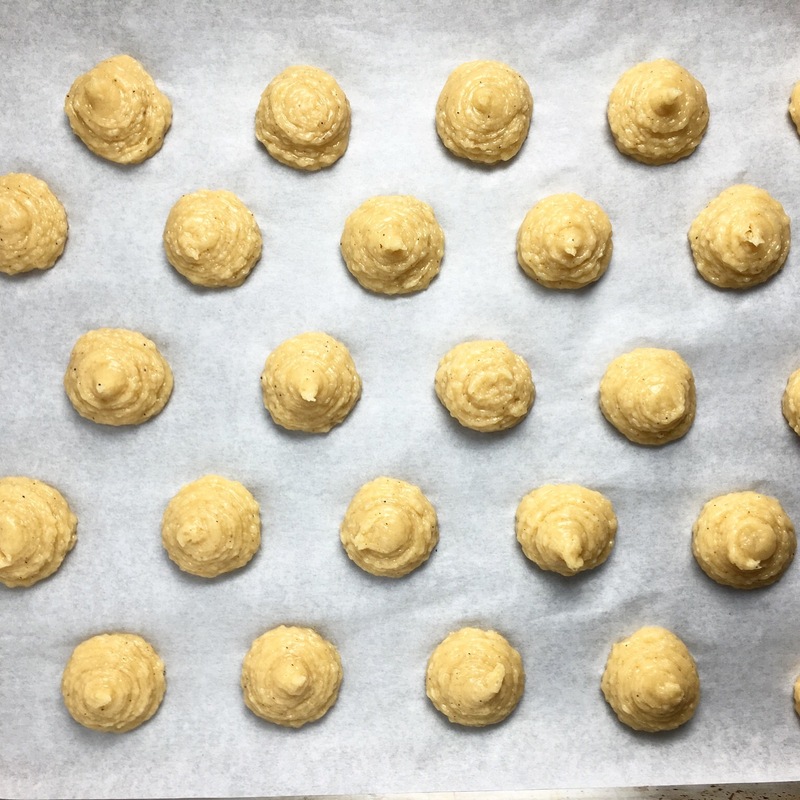 Using a pastry bag fitted with a #4 round tip, pipe individual Gougères to a size slightly larger than a quarter on a parchment lined sheet tray. Leave sufficient room between Gougères as they will increase in size when baked. You can make the Gougères extra-cheesy by topping them with some additional grated Cheese. The extra Cheese will appear to all but disappear in the heat of the oven, but it will have formed a delicious Cheese coating. For a good rise, the Gougères need to be baked in an extremely hot oven. This is true of any product made from Pate a Choux, but the additional weight of the Cheese means that the steam-powered rise needs to be pushed to the limits. Pre-heat your oven to 550 degrees Fahrenheit (288 degrees Celsius). If your oven does not reach 550 degrees Fahrenheit, set it to the highest temperature possible. Put the Gougères in the oven and immediately turn off the heat. Bake the Gougères for 10 minutes with the oven off. After 10 minutes, rotate the sheet trays and set the oven to 350 degrees Fahrenheit (177 degrees Celsius) to finish baking for an additional 15 minutes or longer. The Gougères are done when they are completely golden brown and feel light and hollow. 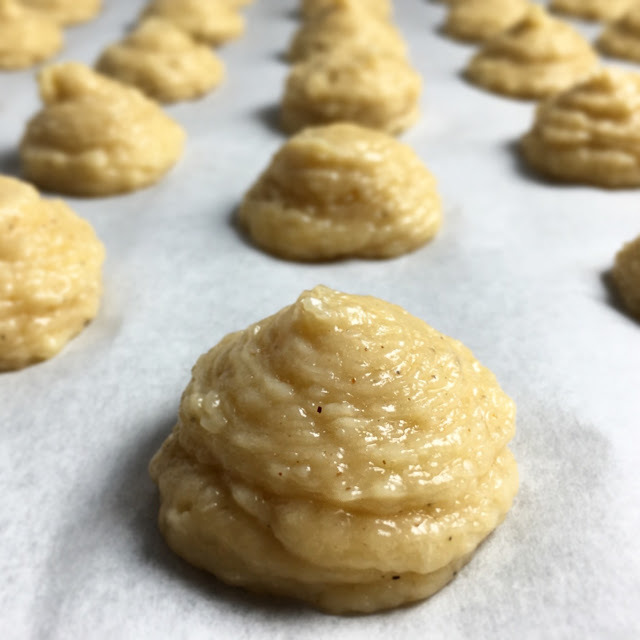 Gougères are best served the day they are made; however, they will keep for 2-3 days in an airtight container. Over time, the once crispy outside of the Gougères will become soft. To restore crispness, place the baked Gougères in a 350 degree Fahrenheit (177 degrees Celsius) oven for approximately five minutes. The Gougères can be frozen for several weeks. Before serving, defrost frozen Gougères and place them in a 350 degree Fahrenheit (177 degree Celsius) oven for approximately five minutes. 1. Preheat the oven to 550 degrees Fahrenheit (288 degrees Celsius). If your oven does not reach 550 degrees Fahrenheit, set it to the highest possible temperature. 2. Follow the recipe for the Pate a Choux, adding the Nutmeg, Paprika and Cayenne when you incorporate the Flour with the boiling Water and Butter. When you have finished preparing the Pate a Choux, stir in the finely grated Cheese. Chef's Note: You may want to add more or less spice depending on your personal taste. Change the amounts as desired, but be careful with Cayenne. 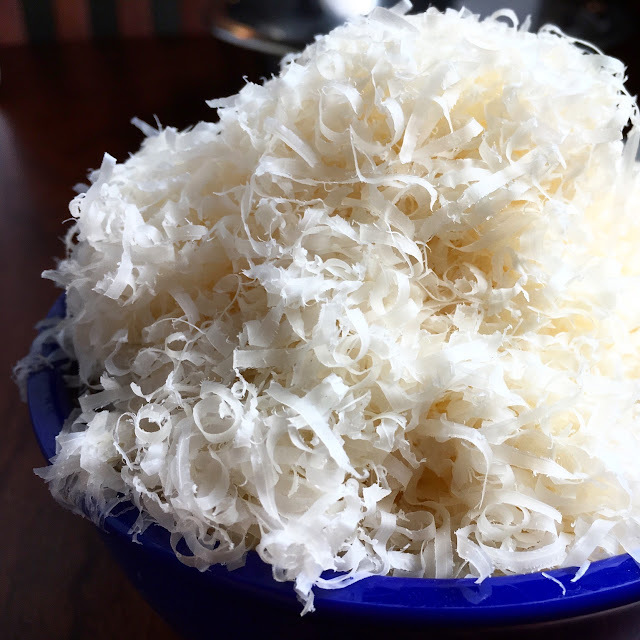 When it comes to the Cheese, Gruyère is traditional, but any full-flavored, medium to hard Cheese will work well. 3. Prepare a pastry bag with a #4 round tip and fill the pastry bag with the Pate a Choux. Line a sheet tray with parchment. Use a dollop of Pate a Choux at each corner to hold the parchment to the sheet tray. 4. Pipe individual Gougères to a size slightly larger than a quarter. Leave sufficient room between Gougères as they will increase in size when baked. 5. If desired, sprinkle additional grated Cheese on top of each Gougère. 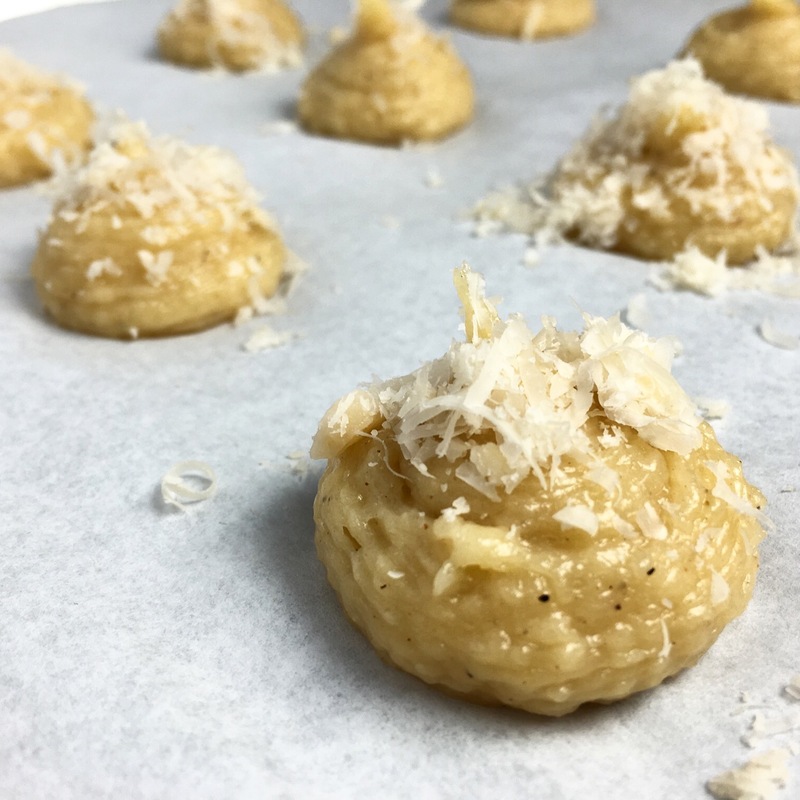 Chef's Note: In the intense heat of the oven, the additional Cheese will appear to all but disappear as it melts, but it will seal the Gougères in a delicious, extra-cheesy coating. 6. Put the Gougères in the oven and immediately turn off the heat. Bake the Gougères for 10 minutes with the oven off. After 10 minutes, rotate the sheet trays and set the oven to 350 degrees Fahrenheit (177 degrees Celsius) to finish baking for an additional 15 minutes or longer. The Gougères are done when they are completely golden brown and feel light and hollow. - Gougères are best served the day they are made. However, they will keep for 2-3 days in an airtight container. Over time, the Gougères will become soft. To restore crispness, place the baked Gougères in a 350 degree Fahrenheit oven for approximately five minutes. - The Gougères can be frozen for several weeks. Before serving, defrost frozen Gougères and place them in a 350 degree Fahrenheit (177 degree Celsius) oven for approximately five minutes.